Come and experience the magical Maui sunrise on-top of Haleakala’s summit at 10,000 feet, also known as the House of the Sun. 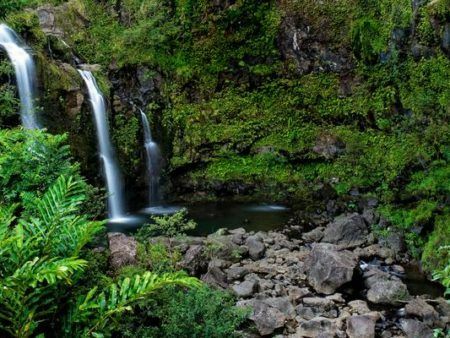 You will visit with rare and beautiful plant and wildlife, some of which you will only see on the slopes of Haleakala. Haleakala is home to the rare Silversword plant (known in Hawaiian as ‘ahinahina) and a nesting area for Hawaii’s state bird, the Nēnē goose. 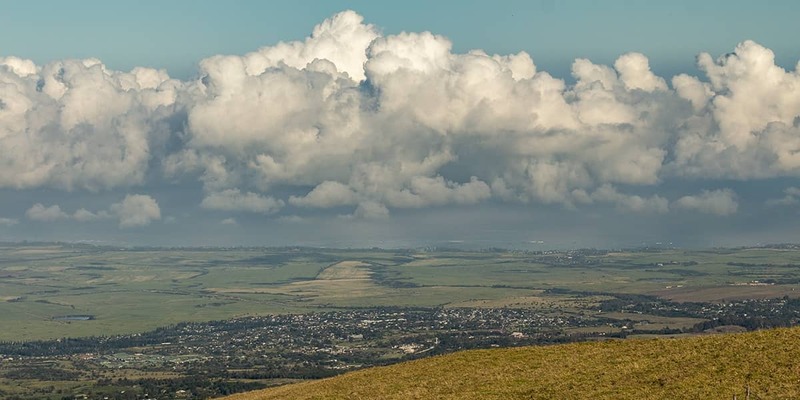 Learn about the history of Haleakala and Haleakala’s significance in the Hawaiian culture. 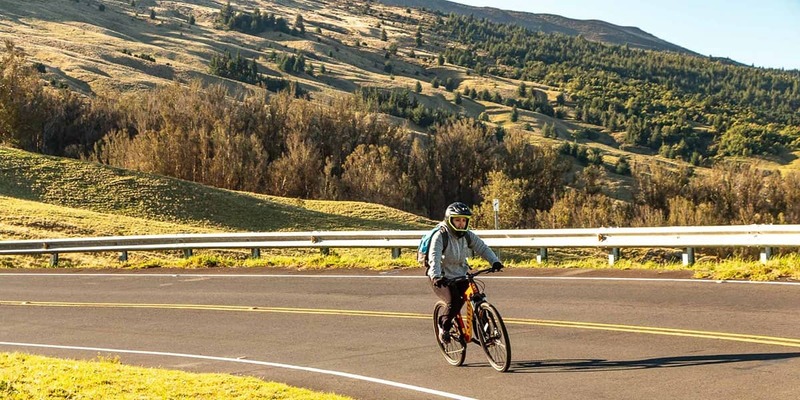 As you make your way down the summit, your bicycle safari will begin at the 6,500 foot elevation, where you will begin the descent down the world’s largest resting volcano. 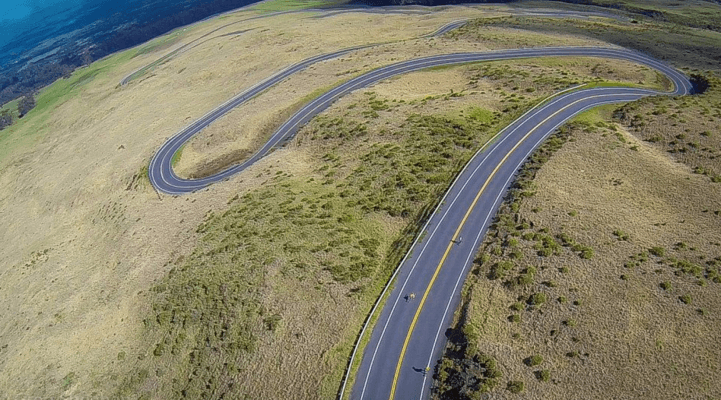 You will gently descend the 21 switchbacks, where you will enjoy bi-coastal views of Maui’s central valley and the West Maui Mountains, all while taking in the beauty and fragrance of the flora surrounding you. Experience the wind in your face and the beauty Maui has to offer you on one of our most popular tours. 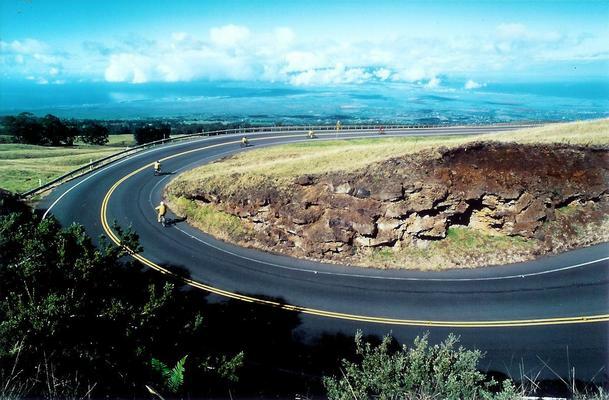 Entrance fee to the Haleakala National Park is included in your tour. 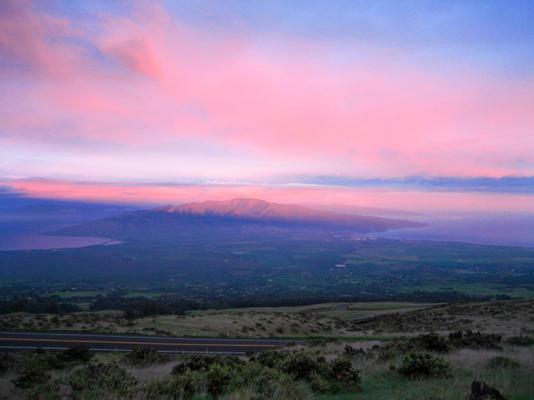 You will view the sunrise from above the clouds and see the magnificent Haleakala Crater from atop 10,000′ elevation. Safari van tour from Pukalani to the sea with information and history of Maui’s sugar cane and pineapple plantation days. Bicycle helmets and windbreakers are fitted to each guest for their comfort and safety. 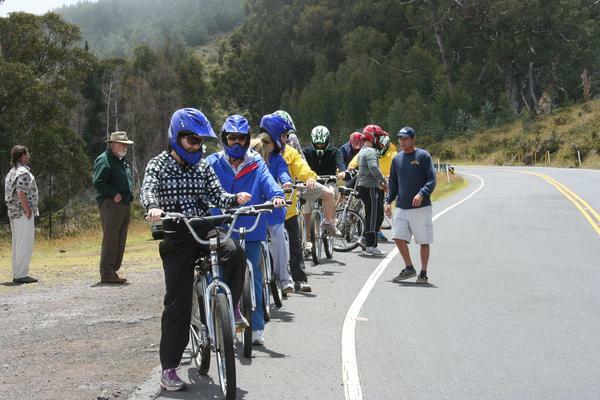 No Riders may participate with medical conditions that would adversely effect them in this activity. If you have decided to cancel your reservation or need to re-schedule, please call our 24 hours reservations 1-844-471-0785 or our local office at 808-518-3061. All tour cancellations must be made 5-days prior to the tour date. Any cancellation within a 5-day period of the scheduled tour date, is subject to a $50 cancellation fee per person. You may re-schedule based on availability, 48-hours notice is required. Tours cancelled within 24 hours from scheduled tour date will result in a FULL CHARGE. No refund will be issued if you cancel a re-scheduled tour. There will be 100% charge for No Show (If you do not show up for the scheduled tour, no refund will be issued). Store items can be returned for store credit, no cash or credit refunds. 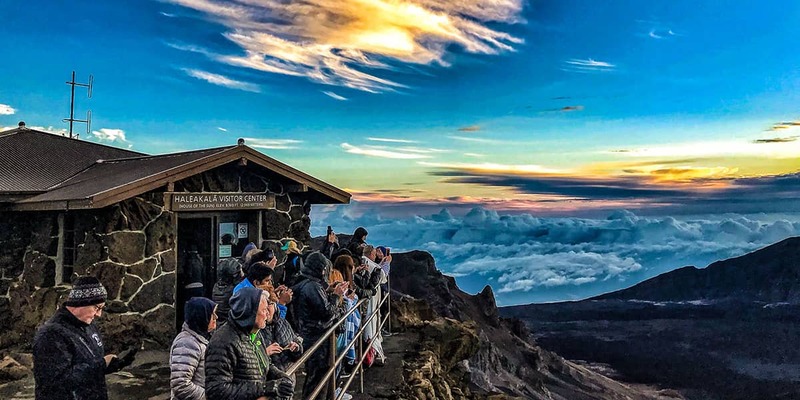 Come and experience the magical Maui sunrise on-top of Haleakala’s summit at 10,000 feet, also known as the House of the Rising Sun. 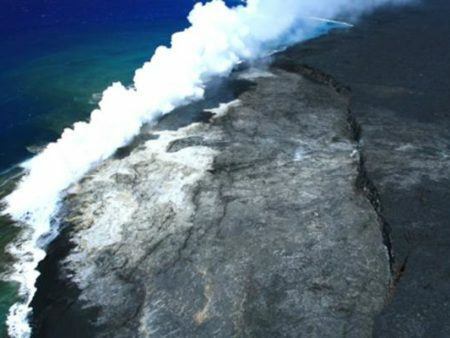 You will visit with rare and beautiful plant and wildlife, some of which you will only see on the slopes of Haleakala. 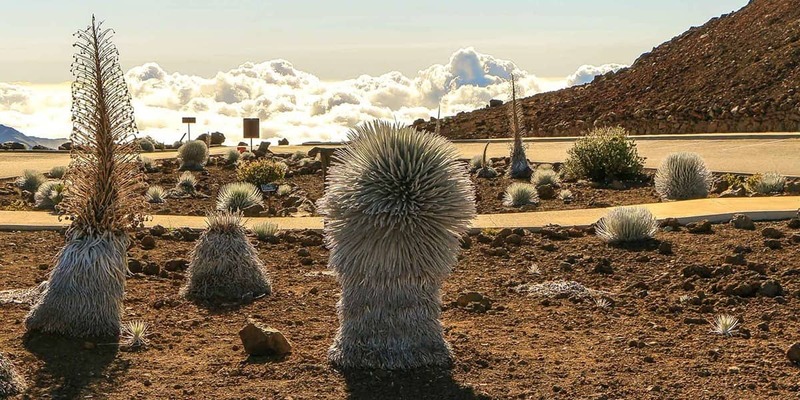 Haleakala is home to the rare Silversword plant (known in Hawaiian as ‘ahinahina) and a nesting area for Hawaii’s state bird, the Nēnē goose.